This week’s warm-ups are geometry related, as we are at the beginning of a 2D geometry unit now. My hope was that they were review, since they’ve had similar units for many years. And for the most part, they were. Oh, and you’ll notice there are only 3 this week; the morning schedules were a little rushed on Tuesday and Friday, so we skipped them those days. And speaking of having done it before, my kindergartener is actually talking about these very things right now, too! 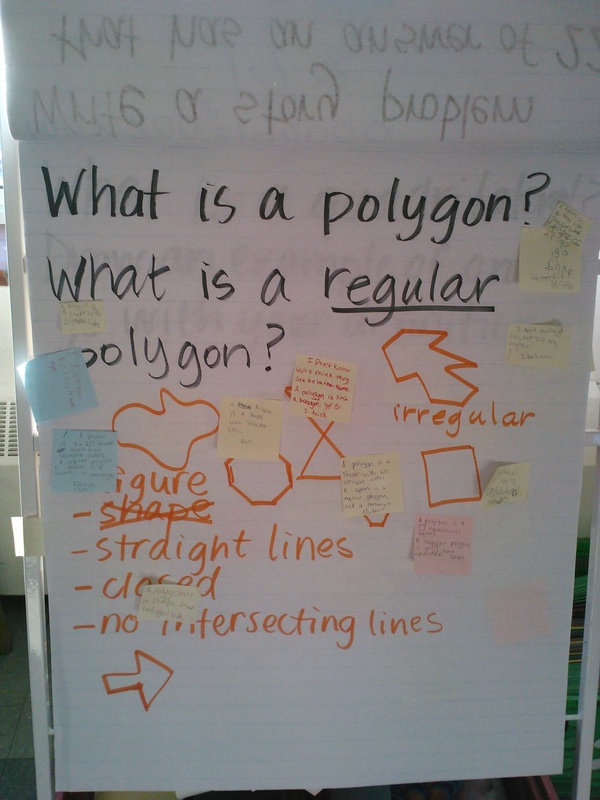 When I shared this question with him, he was able to tell me which were polygons and which were not! The definition was simpler in kindergarten, but the idea was the same. Cool! This one was pretty easy, but was a conversation starter for that day. 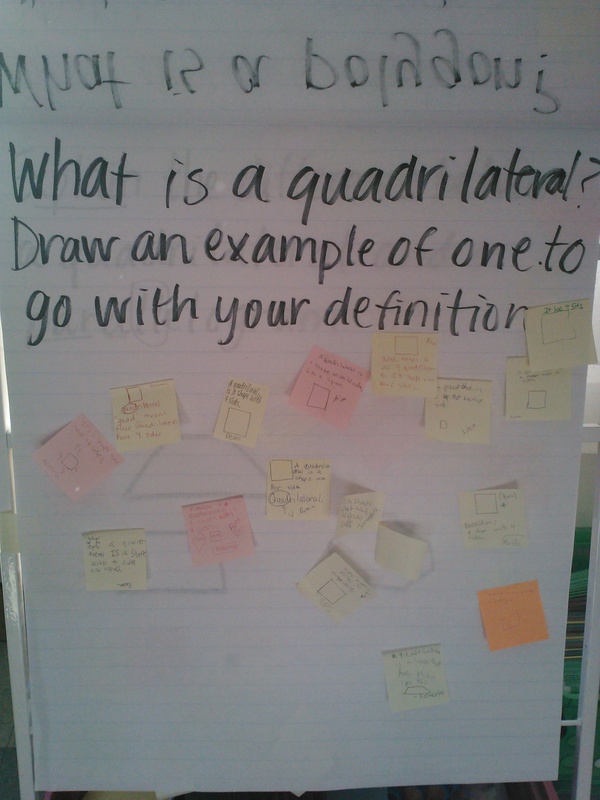 It helped us take the next step to putting quadrilaterals into categories. When we first talked about this one, we were unclear about the definition for a parallelogram. We spent our group time on Thursday clarifying this. What do you know about geometry? What questions would you ask for a geometry math warm-up? Share some with us in the comments! 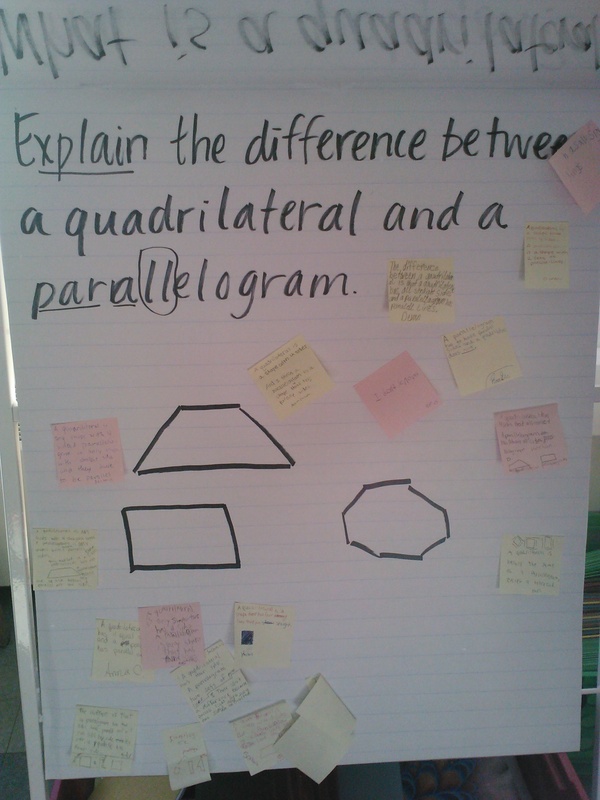 Posted on January 20, 2013 by Jen Bearden	• This entry was posted in Classroom, Math, Uncategorized and tagged geometry, math, math warm ups, math workshop. Bookmark the permalink.